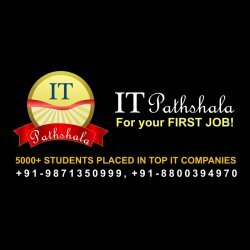 IT Pathshala Pvt. Ltd. Noida in association with Myzeal IT Solutions which is ISO 9001:2008 certified, NASSCOM Members, Microsoft Partners, Titanium Certified company offers 6 weeks live Project based industrial summer training program in .NET Technology in Delhi/NCR, India for MCA/BCA/BE/B.Tech/MSc(CS & IT ) Students & professionals. All trainees will undergo software Development training at our software development facilities at Noida. Learn to build ASP.NET websites from scratch in just 6 weeks!